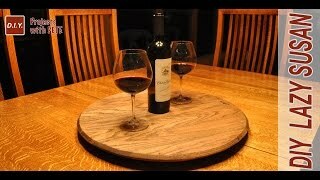 In this tutorial you will learn how to build your own whisky barrel or wine barrel top to create a lazy suzan. 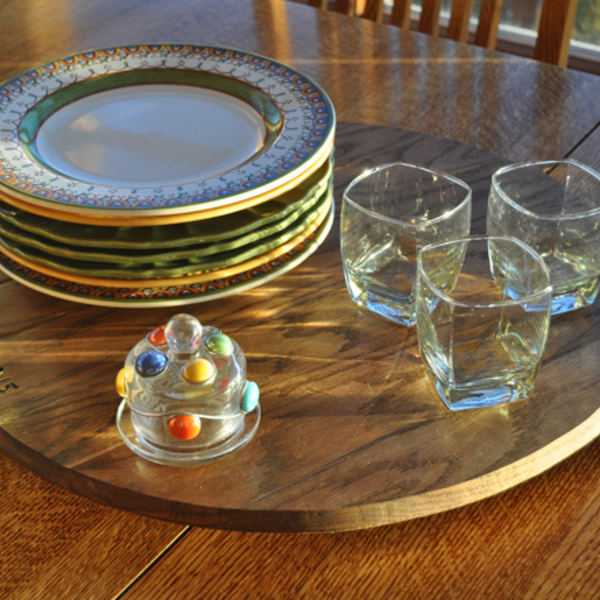 The barrel lazy susan will be a great addition to the dining table and also works well as a tray for appetizers and drinks out on the patio. 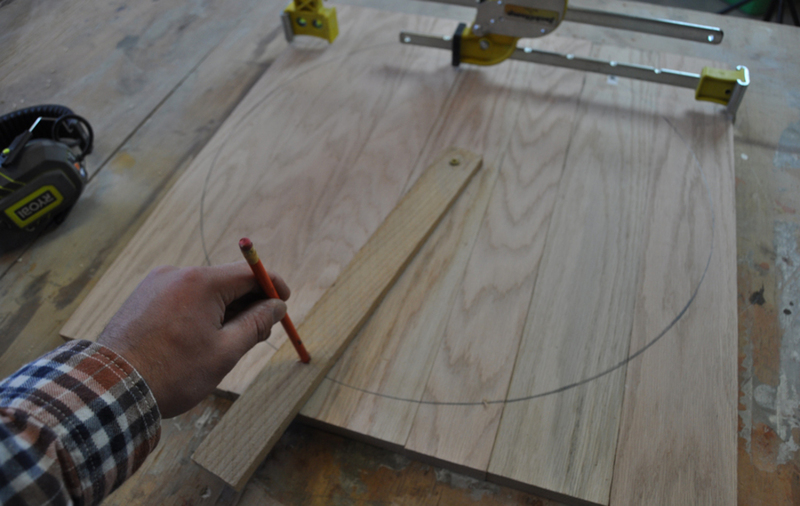 Since barrels are typically expensive and hard to find, we’ll make our own barrel top for a fraction of the cost out of basic 1x4 and 1x3 boards you can pick up at any lumber yard. 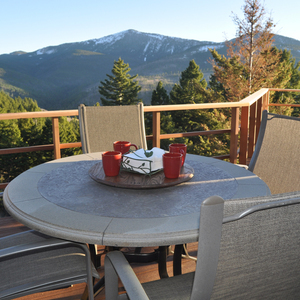 This is a quick and easy project that requires a few basic tools. 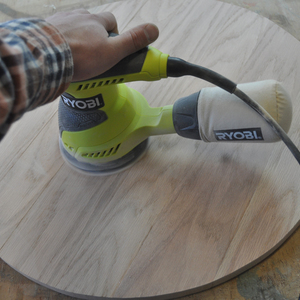 This is a quick and easy project that requires just a few basic tools. 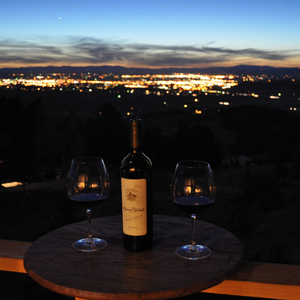 Making projects out of whisky and wine barrels is a fun and rewarding experience. Take action and have some fun with this one! 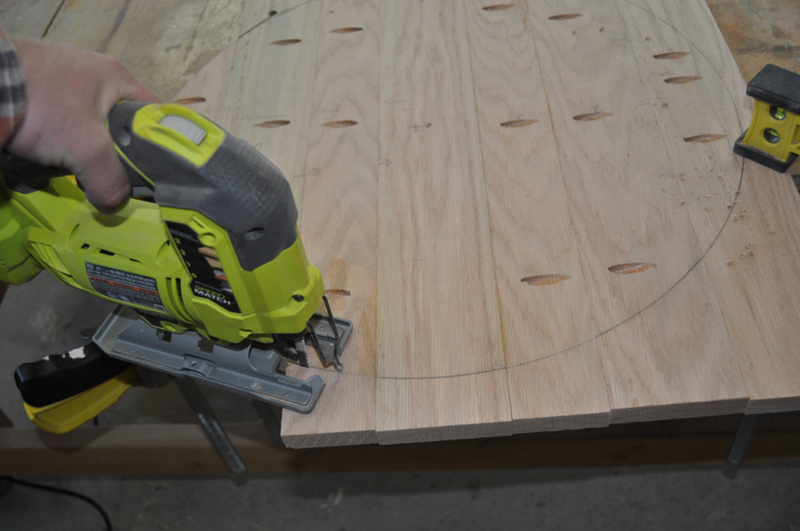 Cut the 1x4 and 1x3 boards down to size. 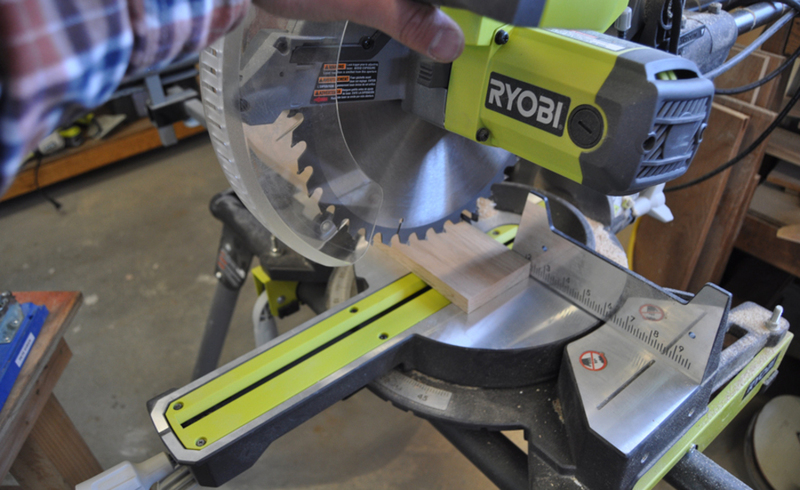 You will need five 1x4 boards and two 1x3 boards that are 24 inches long. 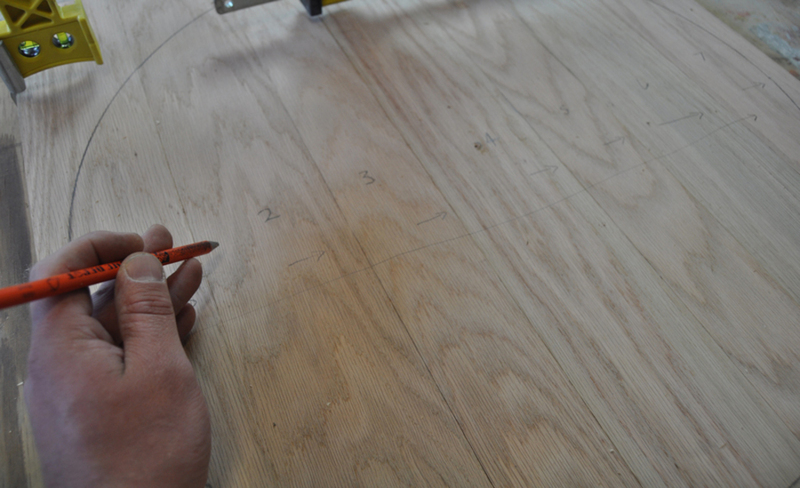 Here is a look at the overall dimensions once the boards are cut and pieced together. 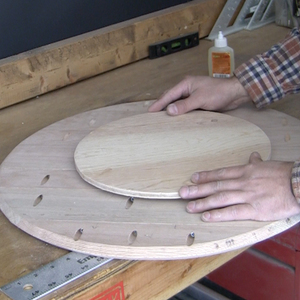 The radius of the circle will be 10 1/2 inches which makes the diameter of the lazy susan 21 inches. 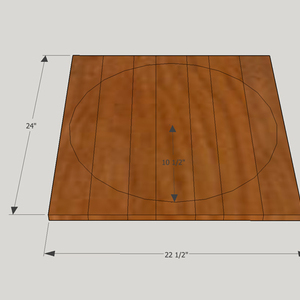 Place a 1x4 in the center and surround it on the left and right side with a 1x3 board. The remaining outer 2 boards on each side of the lazy suzan are 1x4 boards. 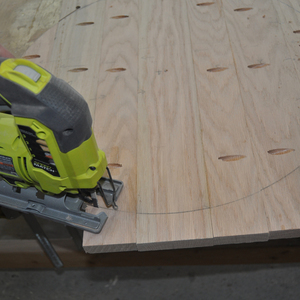 Hold the boards in place using a wood clamp. 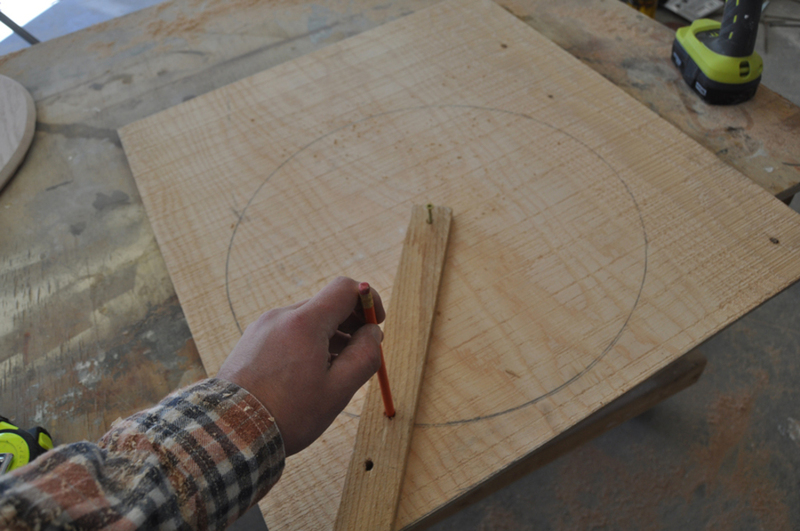 Then find a scrap piece of wood about 15 inches long and drill a hole in one end to use as a pivot point. 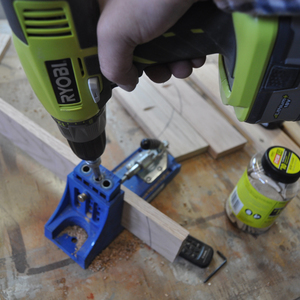 Measure 10 1/2 inches from the pivot point and drill a 3/8 inch hole for a pencil to fit. Us a short screw to temporarily attach the board at its pivot point. 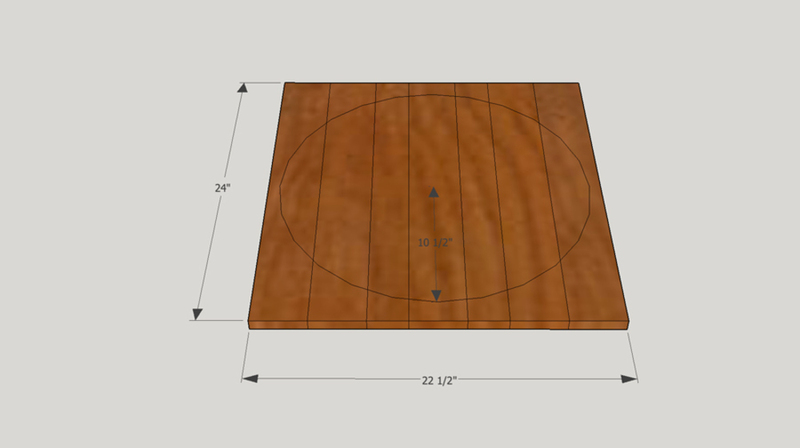 Rotate the board to draw a complete circle. 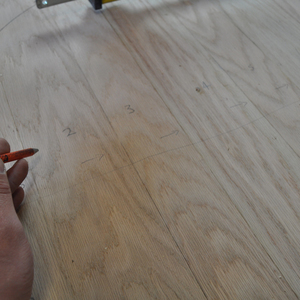 Number or label each board to help remember the layout or orientation of the boards for your project. 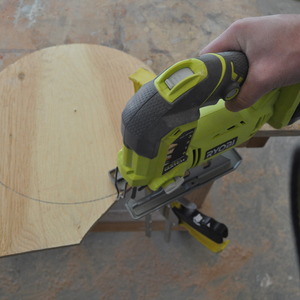 Use either a pocket hole tool or biscuit joiner to attach each board. 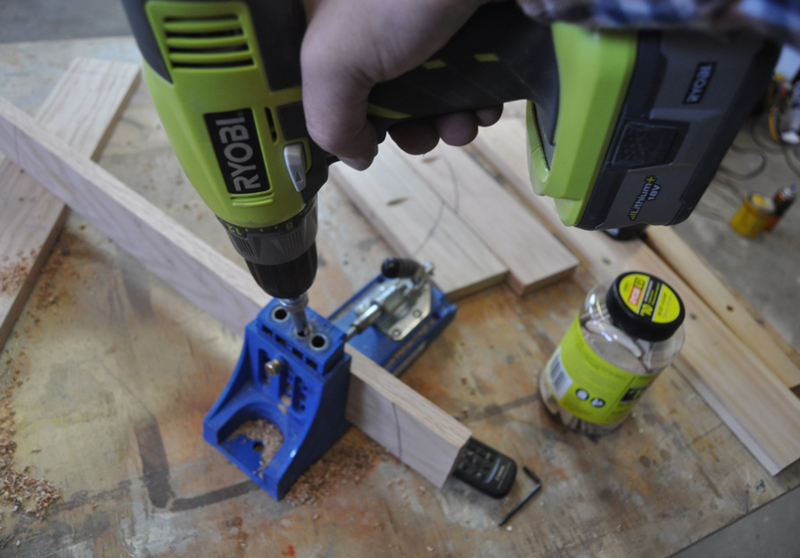 In this example a Kreg Jig is used and adjusted to 3/4 inch stock settings. 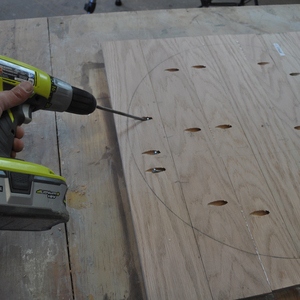 Drill 3 pocket holes in all boards except the middle 1x4. Space the holes evenly. 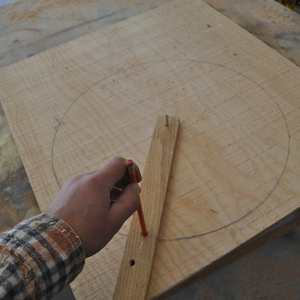 Work from the outside board into the center on each side. 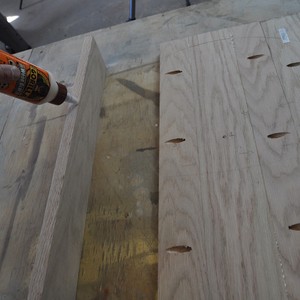 Run a bead of glue on the side of the board prior to connecting. 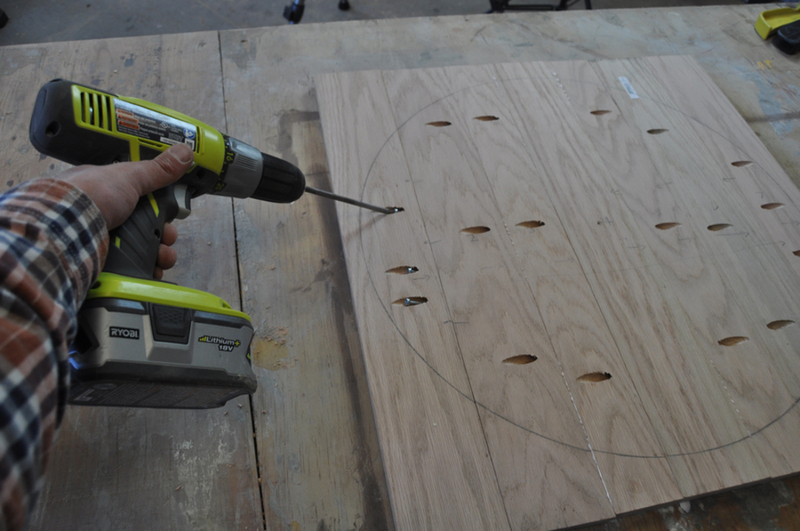 Attach each board using 1 inch Kreg Jig screws. 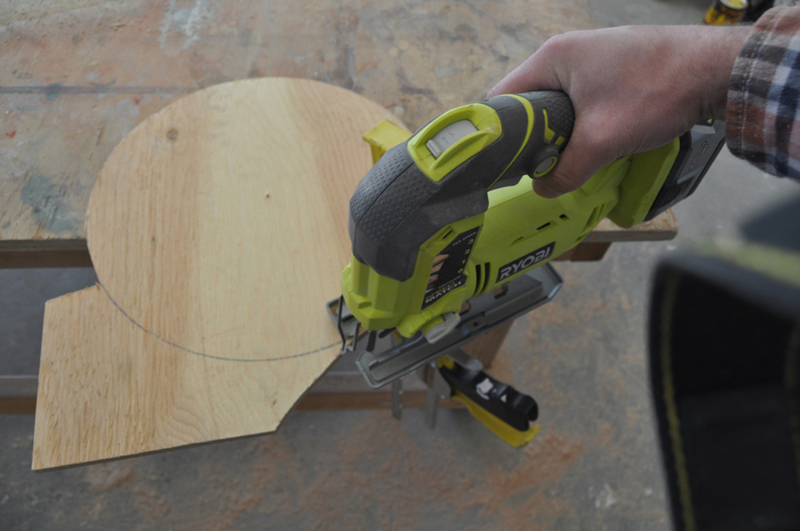 Use a jigsaw to cut out the shape of the barrel top. 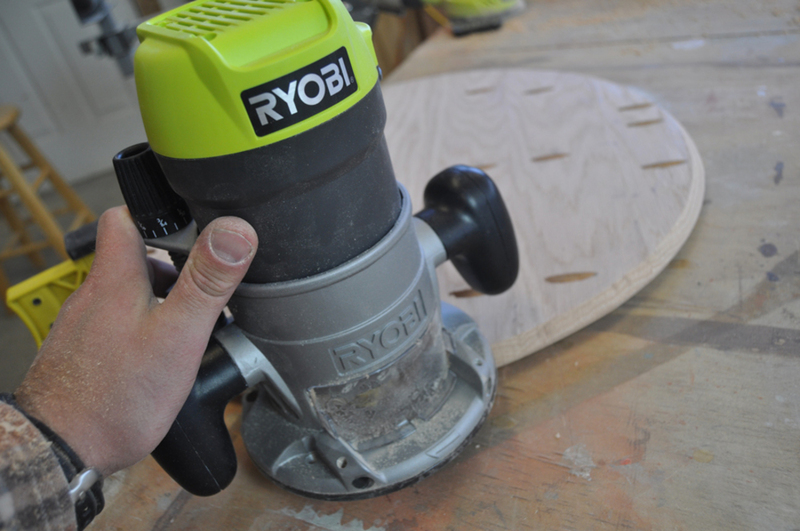 Sand the wood to remove rough edges and any uneven areas. 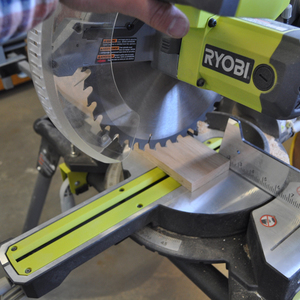 A router is used to bevel the top and bottom edges of the barrel. 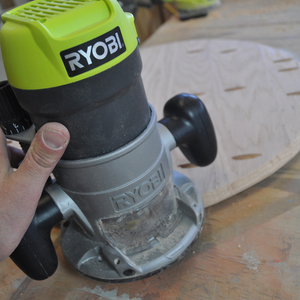 Use a chamfer router bit for this process. I'd recommend practicing and adjusting the depth settings on a scrap board that is the same thickness prior to attempting to route the actual barrel top. 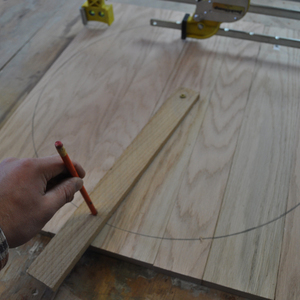 Draw a second circle to use as the base for the lazy susan. A diameter of 16 inches will give the lazy susan plenty of stability. 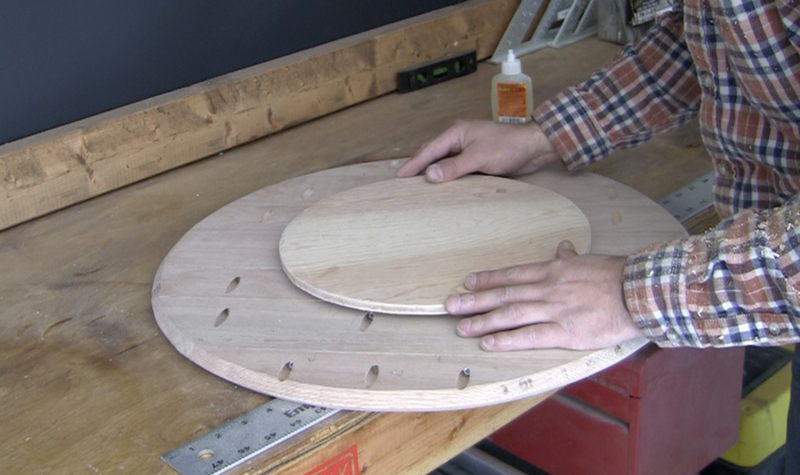 1/2 inch thick plywood will work well for this piece. 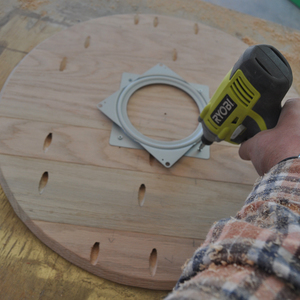 Center and attach the lazy susan using short screws. 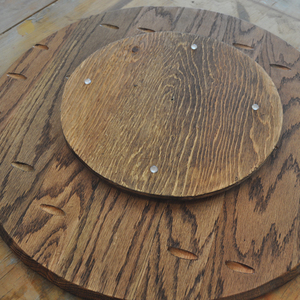 A lazy susan can be picked up at the Home Depot for about $5. 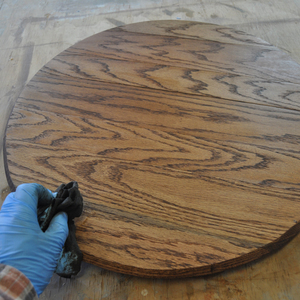 Attach the wood base for the lazy susan using clear epoxy or a strong glue. 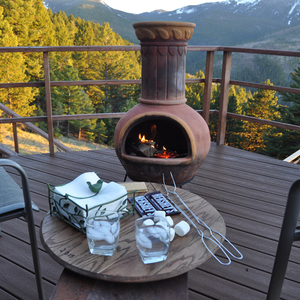 Please note in this photo the wood base is smaller than 16 inches. After trial and error I realized my base was a little tippy and ended up making a larger base that is the recommended 16 inches. 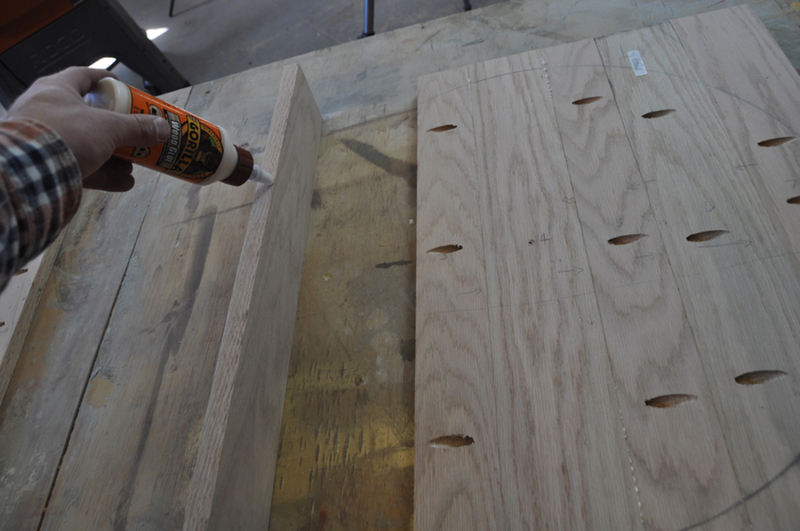 Set some books or a paint can on the base to hold it in place while it dries. 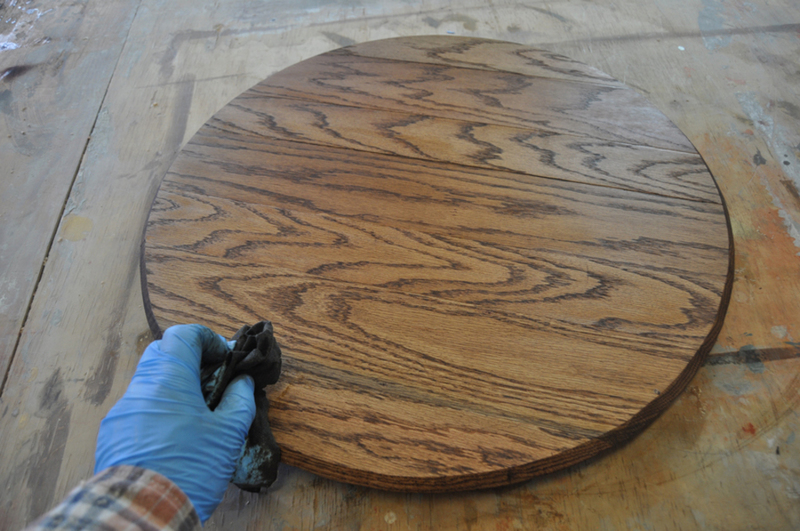 Stain and seal the lazy susan. 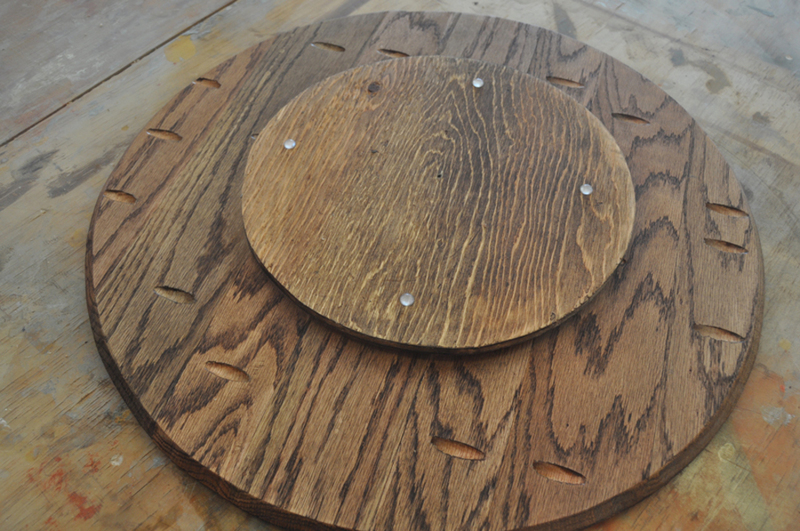 Add rubber pads to the bottom of the wood base. 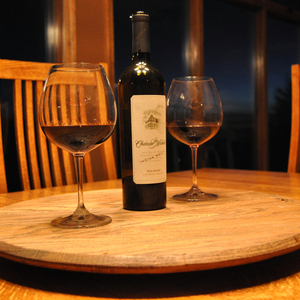 Enjoy your new Whisky Barrel Lazy Susan. Job well done! In this tutorial you will learn how to build your own whisky barrel or wine barrel top to create a lazy suzan. The barrel lazy susan will be a great addition to the dining table and also works well as a tray for appetizers and drinks out on the patio. 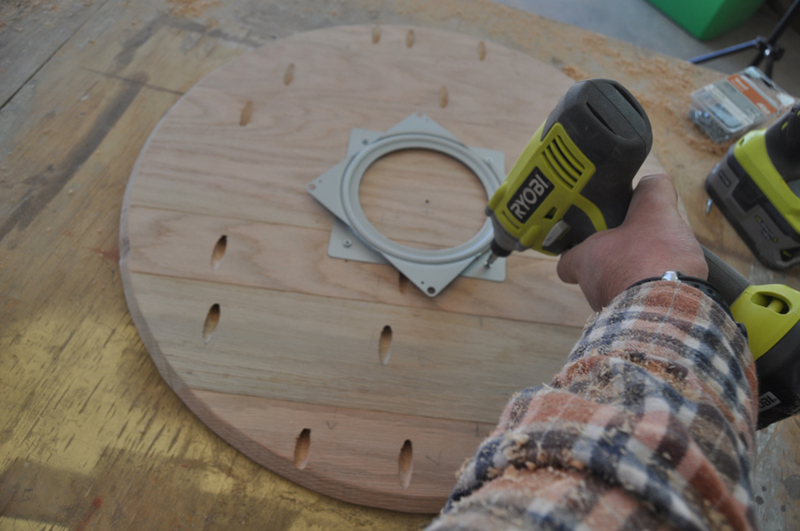 Since barrels are typically expensive and hard to find, we’ll make our own barrel top for a fraction of the cost out of basic 1x4 and 1x3 boards you can pick up at any lumber yard. 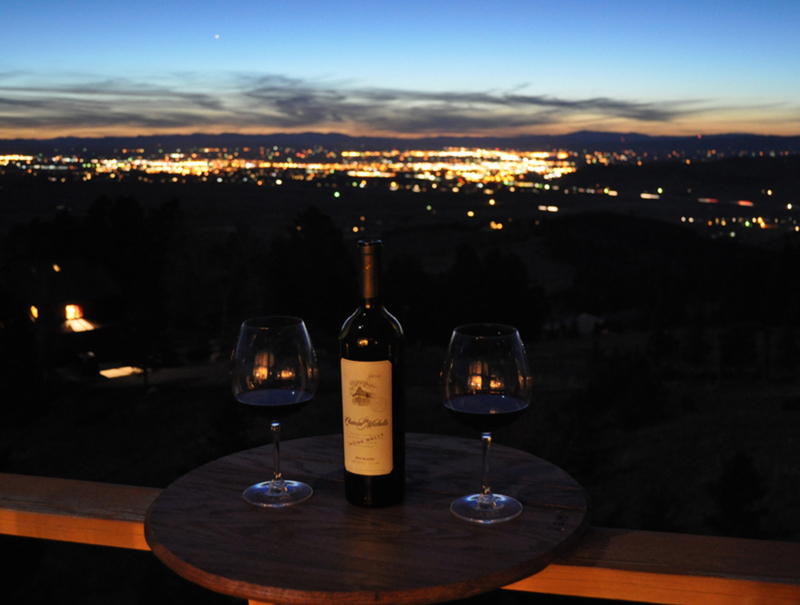 This is a quick and easy project that requires a few basic tools. 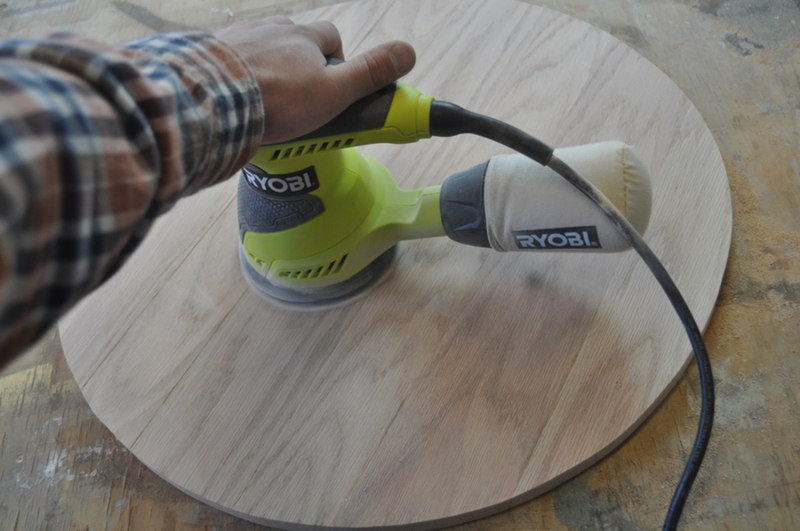 This is a quick and easy project that requires just a few basic tools. 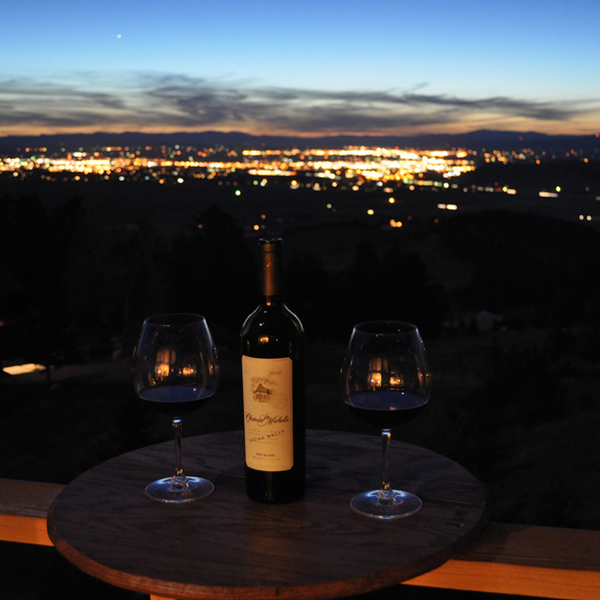 Making projects out of whisky and wine barrels is a fun and rewarding experience. Take action and have some fun with this one!